One woman’s account of looking out for those relationship red flags when blind dating. For the L.A. Times weekly column L.A. Affairs. 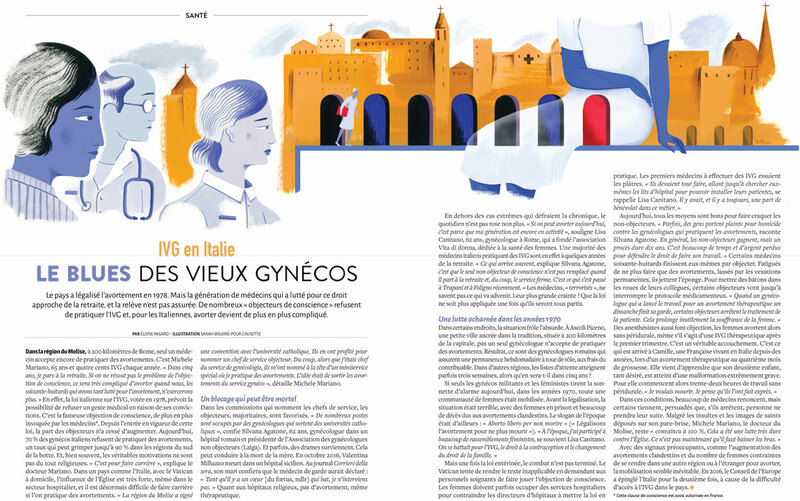 For French magazine Causette and an article about the challenges faced by gynecologists in Italy. My illustration for Beth Reno’s story of dating two best friends, on the same night. For Los Angeles Times. The World of Illustration Awards show is up with my two selected pieces (below). The show runs until 1 November, at Somerset House, London.